Carbon dioxide reduction, also called splitting CO2, shows promise in several potential energy-producing applications. CO2 can become raw material for the production of hydrogen, oxygen, and methanol. It can serve in artificial photosynthesis, which uses sunlight to drive chemical reactions producing hydrocarbons. But the carbon-oxygen bond is strong, and so far the energy required to break the bond is greater than the energy made available through the process. Various catalytic processes now under development may reduce the energy required to split carbon dioxide. 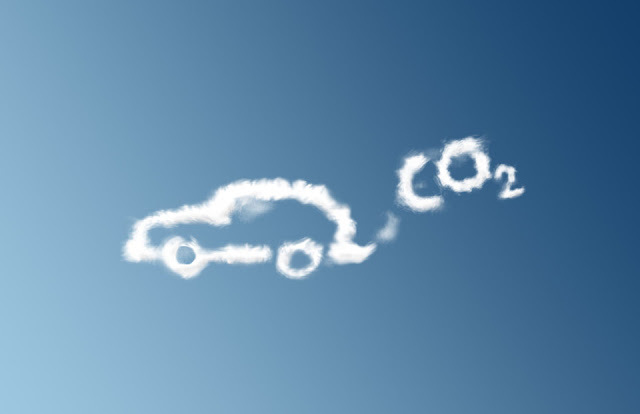 Using electrolysis to transform carbon dioxide and water into hydrocarbons is an appealing way to recycle carbon dioxide and reduce its concentration in the atmosphere. However, the process requires electricity. If the electricity comes from burning fossil fuels, there's no net reduction. Using nuclear or renewable sources for electricity offers solutions to this problem. Meanwhile research centers around finding the most efficient processes, which also produce the most useful products. Natural photosynthesis captures the energy of the sun in chemical bonds. Artificial photosynthesis does this too; the challenge is to find the most efficient process. Current research involves using carbon dioxide and water, then a catalyst to split them and "rebuild" them into fuel and oxygen. Several photoelectrochemical steps apply energy from light to excite electrons, and promote transfer of electrons and protons, eventually ending up with fuel and oxygen. These "solar fuels" offer a way to store the energy of sunlight. Catalytic reactions can combine carbon dioxide with hydrogen to create methanol and carbon monoxide, along with other compounds similar to carbon monoxide. The exact composition of the results varies with the catalysts used. The process becomes more practical if there are smaller, "decentralized" sources of hydrogen produced through solar power. Recent research is finding ways to simplify the process and increase efficiency and practicality by requiring fewer intermediate steps. All three of the approaches described above use some kinds of catalytic processes, and the processes offer varying degrees of efficiency and outputs. Current research explores different metal compounds as catalysts, new structures like nanotubes, and ways to simplify the required intermediate steps. For harnessing solar power, an interdisciplinary approach seeks to turn promising concepts into economically-feasible systems.